The Cottage has been elegantly furnished for your comfort and pleasure whether you are looking for a romantic getaway or quality time with friends. In the colder months the log fire keeps you warm. Minimum stays for events and peak holiday periods will apply . Min 2 nights for most weekends - do ask during winter for single nights if we are still available - there will however be a min 4 person rate. A wonderful stay. The home is very relaxed. A true home away from home if that’s what you’re looking for. We had a great stay here. Only a short walk to town. Place just needs a bit of a bug bomb to control some cockroaches that came out for a night time party. Otherwise was perfect for our weekend away. Lovely cottage; very clean and well equipped, and great location. Great - 10 mins from main square walking. 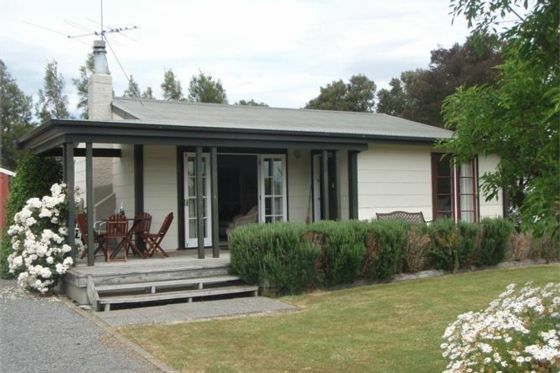 The property is lovely, cute, comfortable and the Canadian gentleman we were showing around is keen to return to this property the next time he is in New Zealand.